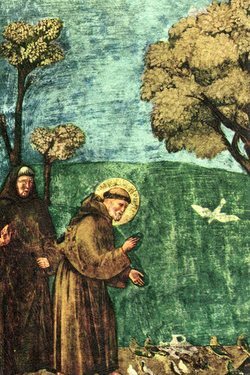 In honor of St. Francis, we invite you to pray an online novena, September 25 – October 3, culminating on his feast day, October 4. Fr. Murray Bodo, OFM, Franciscan priest and author, reads the prayers for each day. You will receive the prayers for that day in your email inbox in both written, audio, and follow-along video formats. He was a saint for all times, a saint for all people. In his brief life of 44 years, Francis had a seismic impact on the Church – an impact we feel today, 800 years after his death. In life he was Il Poverello, “The Little Poor Man”. In death he became one of the most powerful influences for good that the world has ever seen. 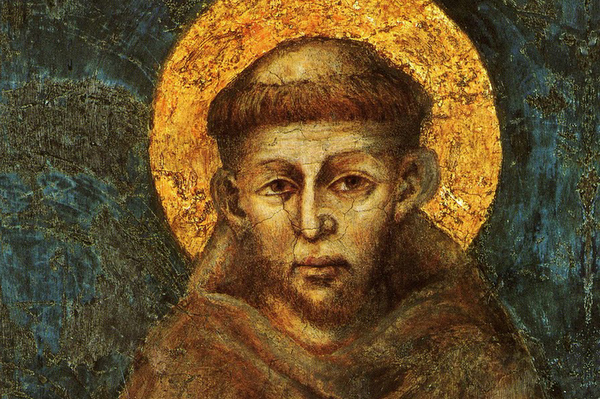 Most know something of the history of Francis, born Pietro Bernardone in 1182 in Assisi, Italy. The son of a wealthy merchant, he aspired to become a knight and left a life of privilege to fight for Pope Innocent III. Sidelined by illness, Francis found his calling. Taking stock of what had been a life without purpose, he gave away everything he owned and found new meaning in serving the Lord with all of his heart. The joy he discovered in doing so was contagious. His mission, he believed, was contained in a message from Christ: “Go rebuild my Church, which is falling down.” His zeal for the Gospel and his lifestyle of radical simplicity drew skeptics and derision – but it also drew followers. With pride in our past and hope for our future, we continue the quest begun by Francis for a just and harmonious world.